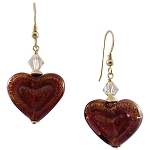 These earthtone earrings are unique little works of art. The multi-colored swirls are a rare Murano Glass called Calcedonia for which their are only 2 furnaces who can produce. The colors vary with each stroke of the molten canes over a base of opaque Turquoise glass speckled with broken 24kt Gold Foil, known as Ca'd'oro in Italian. 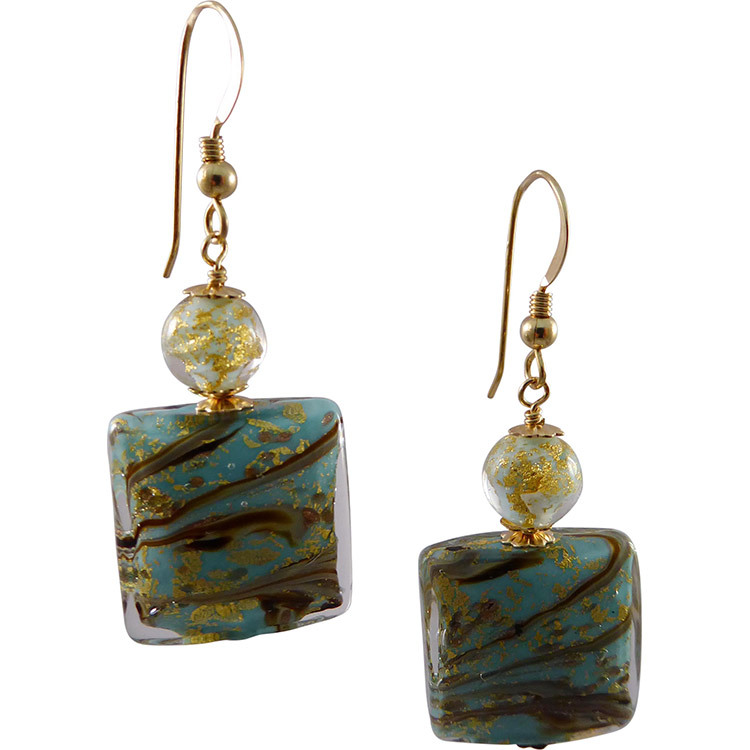 A small matching bead in lighter shade of Turquoise Ca'd'oro adorns each earring. The ear wires are all 14Kt Gold Fill.